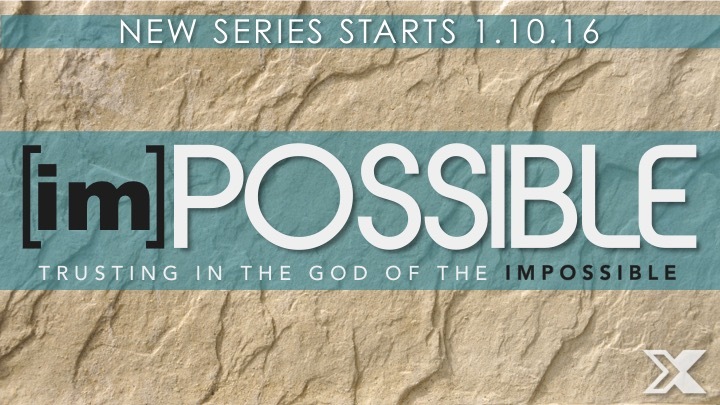 New Series – (im)POSSIBLE | The Exchange | Get Life. Give Life. Does life ever feel impossible? At some point, we have all found ourselves in seemingly impossible places in life – with a relationship, financially, with a health concern, or making decisions about the future. In the bible, Daniel was a man who faced some impossible situations to say the least, but rather than caving under the difficulties of life, he chose to trust in God. In this new series beginning January 10, we will look at how we too can choose to trust in the God of the impossible in the impossible places of life.